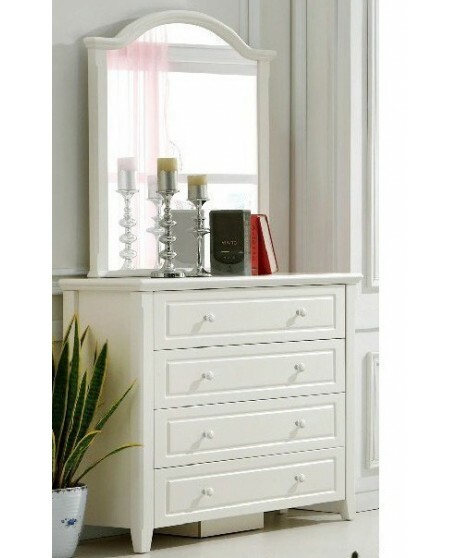 The Iris delivers the functional benefits of 4 high quality drawers and mirror. A clean and stylish timber finish adds a sophisticated look to your room. 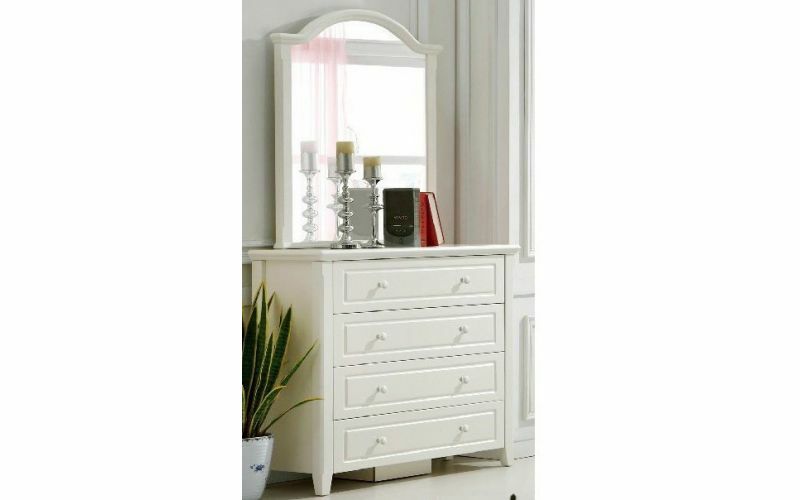 The Iris White Dresser and Mirror is a quality addition to any bedroom. Made from quality materials and boasting an impressive 12 month warranty, the Iris gives you the peace of mind knowing you are getting a quality product that will pass the tests of time. Quality metal drawer runners pull out smoothly so you can open the drawers quickly and easily. 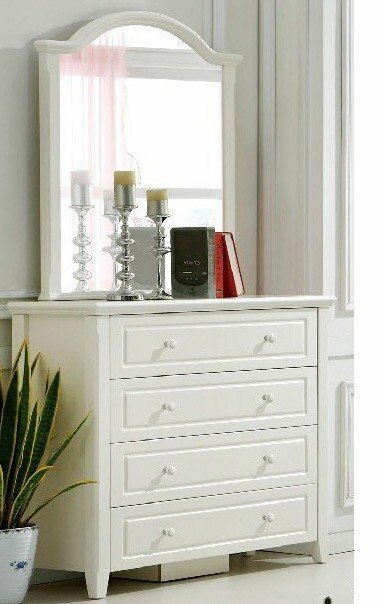 Keep your room neat and tidy and help de – clutter your living areas with 4 large drawers. 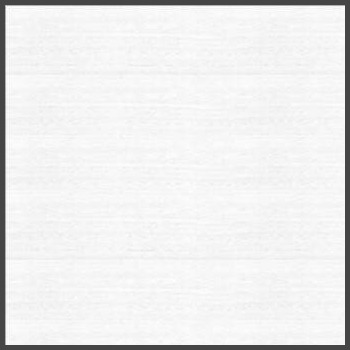 A quality flat top surface makes it an ideal place for your photo frames, flowers, candles and books. 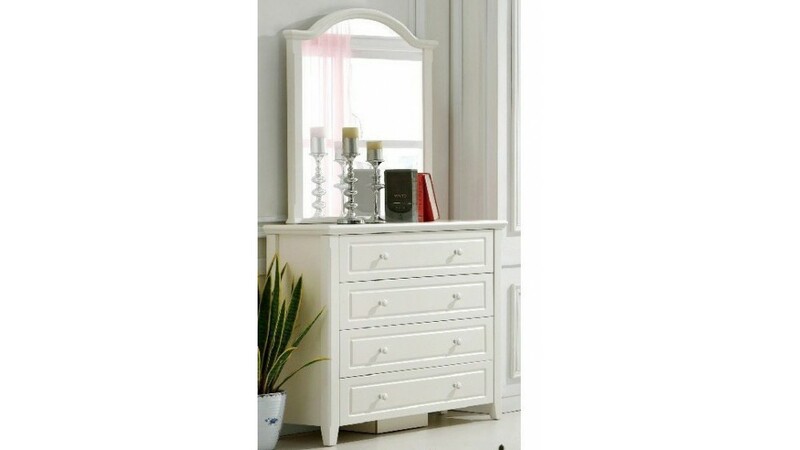 Ask us if your Iris White Dresser and Mirror is available now.